Funeral services for Joan Widner Roebuck, 79, of Zavalla, will be held Wednesday, January 23, 2019, at 2:00 p.m. at Sulphur Springs Baptist Church in Zavalla with Bro. Steve Rye and Bro. Curtis Herrington officiating. Interment will follow at Barge Cemetery in Zavalla. 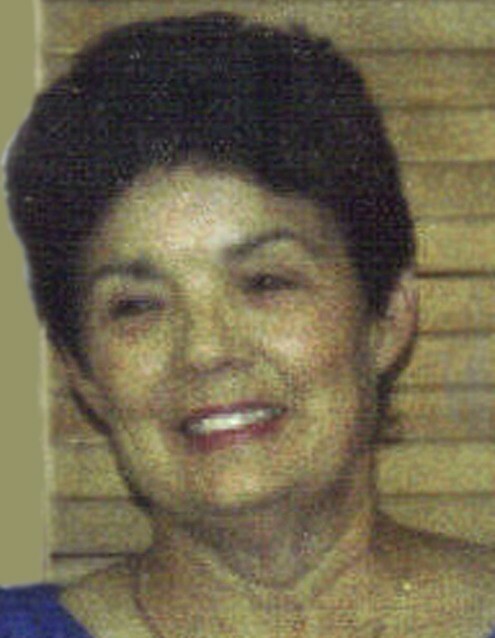 Mrs. Roebuck was born January 30, 1939 in Zavalla, the daughter of the late Hardy and Cecil Widner, and died Monday, January 21, 2019 at her home in Zavalla. She was a devoted, life-long member of Sulphur Springs Baptist Church. Mrs. Roebuck loved her family. She was a loving wife, mother, and grandmother. She was the true definition of a “homemaker”. She gave selflessly to her family and to so many others through her time spent working for Home Health. She gave to many that we will never know of because she wasn’t one to boast of her good deeds – she gave because she cared and loved deeply. She has many jewels in her crown. We have many wonderful memories of Sunday dinners and holidays that she made so special. The grandkids always knew Mammaw had something good to eat at any visit. She is survived by her daughter, Lanita Davis of Zavalla; daughter and son-in-law, Charla and Richard Stewart of Huntington; daughter and son-in-law, Karen and Bruce Horton of Hudson; daughter and son-in-law, Lori and Kim Kinney of Huntington; daughter and son-in-law, Toni and Russell Harvey of Broaddus; daughter and son-in-law, Kim and Will Donahoe of Zavalla; grandchildren, Lauren Davis, Lindsey Davis, Shaun Ward, Hannah Ward, Stephanie Ward, Ryan Stewart, Blake Stewart, Dachie Horton, Jarrett Horton, Devin Horton, Ashley Kinney, Taylor Kinney and wife Madison, Tasha Cheney and husband Mark, Josh Nichols, Russell Harvey, Jr., Clarissa Hoke and husband Aaron, Zachary Moody, Krysten Moody, Kaitlyn Matchett and husband Terry, Chandler Hawley, Kaylee Hawley, Triston Donahoe, Jared Donahoe, brother, Jerry Widner and sister, Joyce Havard, along with numerous great grandchildren, and nieces and nephews. Also survived by sister-in-law and husband Dianne and Steve Rye; brother-in-law and wife Vernice and Onetta Roebuck; brother-in-law and wife Frank and Doris Roebuck; and Flint Nelson and Letha Barge who had a special place in her heart. She was preceded in death by her parents, husband Hubert Roebuck, brothers James Widner and Jake Widner, sons-in-law, James Davis and David Ward. Pallbearers will be Shaun Ward, Dachie Horton, Jarrett Horton, Devin Horton, Taylor Kinney, Josh Nichols, Zachary Moody, Chandler Hawley. Honorary pallbearers will be Milton Hudspeth, Keith Harris, Flint Nelson, James Barge, Steve Widner, Russell Widner, Mike Widner, Darrell Havard, Mark Widner, and Shane Widner. Visitation will be from 6:00 p.m. to 8:00 p.m. on Tuesday, January 22, 2019 at Shafer Funeral Home in Lufkin.